Ready to WIN your own ebook copy of this spectacular book? If there is one thing to sell this book alone it is- RESEARCH. Seriously- there are FIVE webpages of resources, that the author used to write this book! From the first chapter, you realize the Atchity has done his research, and this is NOT your typical archeology meets religion thriller- it is way more than that simple formula! And thanks to Atchity's great pacing and characters development, once you get bast the 2nd chapter, this book is VERY hard to put down. But be warned, by mid book you may be putting it down a lot to pick up your tablet and research what he is talking about, to see what is true and what isn't! The author has been references, including photos of locations in the book, available on his website, and I suggest looking through them, about midpoint in your reading. 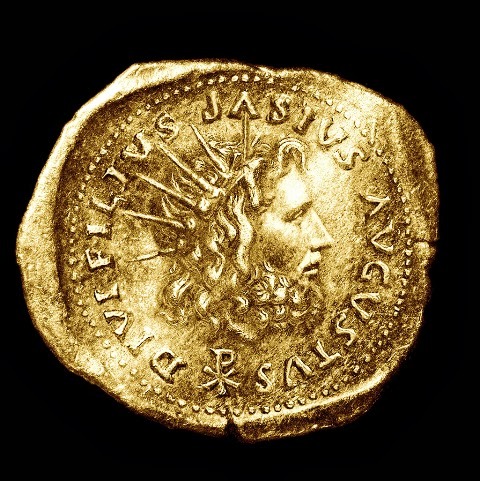 The book is not for the feint of heart, with its many Illiad, Virgil and other ancient references (though the author does a great job explaining where they all came from and placing proper context for the reader who may not know/remember them). Which all makes this a SMART, thought provoking roller coaster of a read that will make the reader see-saw back and forth, questioning what they were taught in bible school at a young age! The author has said that he wanted to write a purely historical non-fiction book about the topic, but knew that if it was presented as such, it would have a limited readership, but by making the work a fictionalized account, he could include all the facts, and have a much larger audience. Well played Dr Atchity, well played! Atchity admits that this tale could NOT have been written without his own Jesuit training, in all his lower and higher educational years, and that he in fact owes a great debt to the Jesuits who trained him, and this book is NOT an attempt to tear apart the foundations of today’s Roman Catholic Church, but to expose the truth, and what lays underneath, " They honed my mind with analysis to the point that it became impossible to accept anything at face value without looking beneath the surface to understand what made its face what it appears to be". Having spent 4 years with the Dominicans and 4 years with the Jesuits, I can heartedly agree with Atchity, and feel a kindred spirit, which could be why so much of the book resonated with me, especially about the use of the Chi-Rho, right, which we were taught to use when referencing Christ in school, and which I've found confounds most people when I use it now, instead of writing 'Christ'.Once you read this novel though, you may find yourself using it more and more! historical existence of the Christian Savior, Jesus, the facts are that for all the 'miracles' and displays of divine that he did according to the Bible, there are no historical texts noting them. When you read the Nag Hammadi Gnostic texts, you DO start to question about what was left out of the Bible, and why, are were things as we think now. 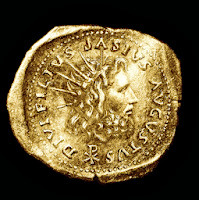 Read the ancient histories by Josephus Flavius, and other historians, and more questions come to light. 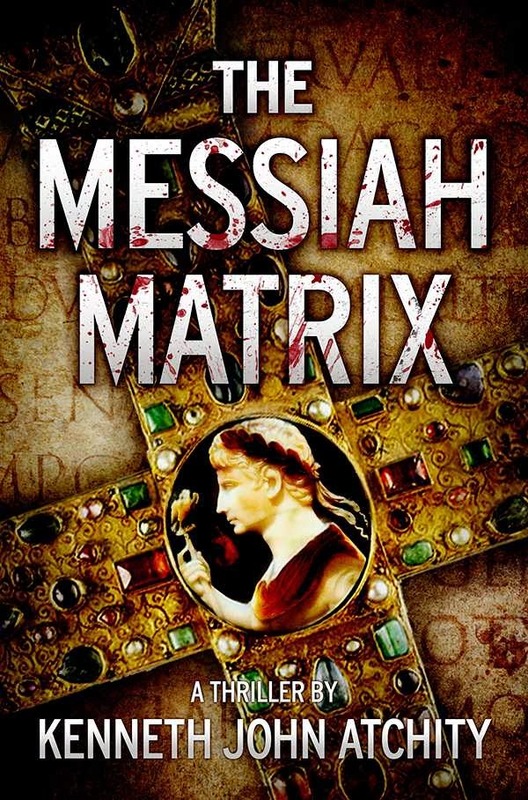 The Messiah Matrix IS a tour de force of classical scholarship, early church history and just flat out, great writing, that will allow the reader to understand all the available research in a simple way, and allow the reader to rethink what they truly know about the birth of Christianity, and it's evolution. My hat is off to Dr. Atchity for crafting a tome that will cause as much controversary, as it offers answers to questions many have had for hundreds of year! If there is one thing you can do for yourself, READ this book, do your own research, and then see which side of the proverbial fence you reside on! Atchity, at age ten, began instructions in the Latin language from a multi-lingual Jesuit mentor and went on to continue his study of Latin, and to begin Homeric Greek, and French at the Jesuit high school, Rockhurst, in Kansas City, Missouri. He won an Ignatian Scholarship to Georgetown University in Washington, D.C., where he graduated as an English/Classics major and won the University Honor Program’s prestigious Virgilian Academy Silver Medal for his nationally-tested knowledge of Virgil’s Aeneid. At Georgetown, he added to his four years of high school Homeric Greek with studies of Attic and Koinaic Greek as well as further studies in Homer and four more years of Latin. He spent his junior year summer at King’s College, Cambridge. Atchity received his Ph.D. from Yale in Comparative Literature, after adding Italian to his seven languages, focused on the study of Dante under Harvard’s Dante della Terza and Yale’s Thomas Bergin. His dissertation, Homer’s Iliad: The Shield of Memory, was awarded the Porter Prize, Yale Graduate School’s highest academic honor. His mentors at Yale included Thomas Bergin, Thomas Greene, A. Bartlett Giamatti, Richard Ellinger, Eric Segal, and Lowry Nelson, Jr. He was professor of literature and classics at Occidental College in Los Angeles, 1970-87, served as chairman of the comparative literature department, and as Fulbright Professor to the University of Bologna. His academic career included books on Homer and Italian literature, and dozens of academic articles and reviews. During his years at Occidental, Atchity was a frequent columnist for The Los Angeles Times Book Review, where he reviewed the novels of Umberto Eco, Doris Lessing, Gabriel Garcia-Marquez, Carlos Fuentes, and many others. In a second career Atchity represented writers of both fiction and nonfiction, accounting for numerous bestsellers and movies for both television and big screen. 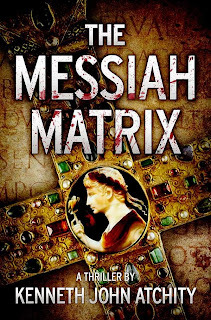 In the tradition of Dominick Dunne, Sidney Sheldon, and Steven Cannell he has drawn on his professional experience with storytelling to write The Messiah Matrix.